PrePaid PINLess and Calling Card Solution for Service Providers. Enables you make calls without entering a PIN. Quickly Dials frequently dialed numbers with just a touch of your finger. Supports both options, so you can choose as per your requirements. Advanced reporting system helps you to analyze data in detail. Balance IVR informs real time balance of users. In New Era, communication plays a very significant role. Long distance and international communication has also become very expensive and occurs every day. Due to high call rates, calling cards are becoming very popular in VoIP business; it provides a fair chance to earn lots of money. 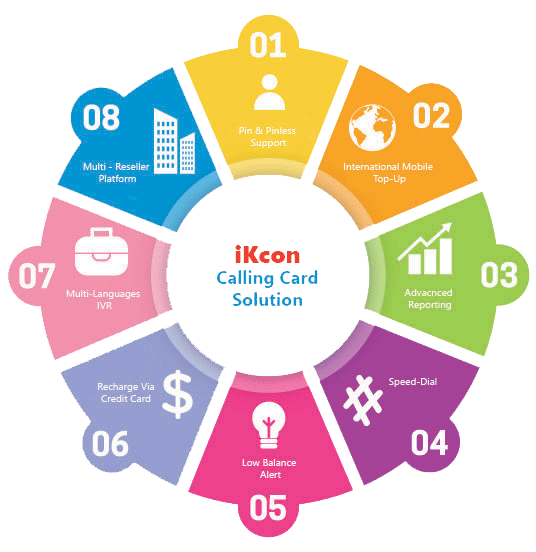 You can fabricate your own calling card by with the help of Ikcon Infotech. People use calling cards for long distance and international calling. PINless calling authentication only assigning the Caller ID. 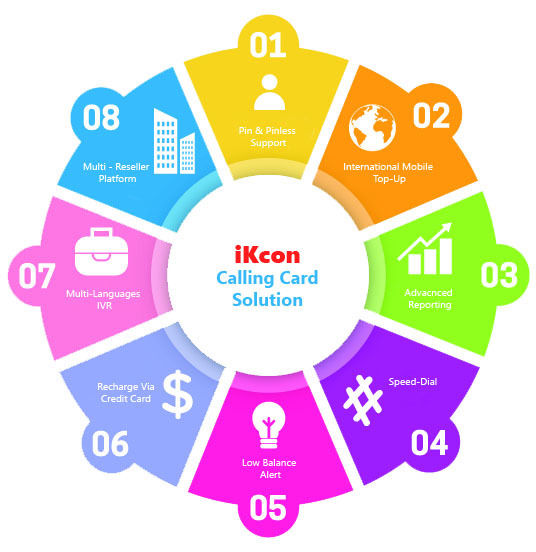 Support multiple languages, so change IVR language as per your customers needs. You can change IVR as per your requirements. It supports bulk calling card creation in one go, which gives you ease to create hundreds of calling cards on single click. Customer can hear call rate for particular destination they are dialing to. I want Pinless calling for few customers and for rest Pinbase, is it possible? Yes, you can assign Pinless or Pinbase as per your requirements. I have customers in different countries, does it support multi languages? Yes, It supports Multilanguage’s, so your customers can manage things easily. Will it mention cost of the call at start of the call? Yes, IVR will speak rate of the destination along with remaining balance. Can I change IVR as per my requirements? Yes, IVR can be changed as per your needs without any issue. Is their option to create Calling Cards in Bulk. Yes, it supports Bulk Calling Card Creation feature.